This post is very long. I'd apologize, but I'm putting it here on my blog just as much for my own recorded history as anything else. Maybe you'll make it to the end. It's hard to believe that this is my first post since San Diego! We had a great time together in the first few days in Switzerland, where Meghan, Patty, and my mother all are still with the kids. It's hard being separate, but modern technology makes things a lot better than they used to be. Our first days in Jerusalem have been incredible. For now, let me write about today. 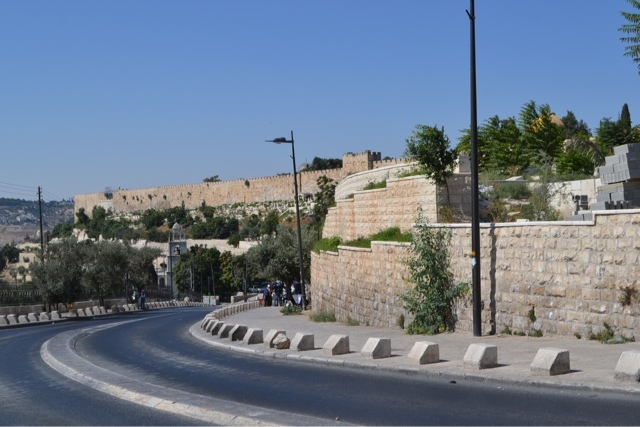 Today, Friday, August 2nd, we headed down the eastern wall of the Old City (just inside is the Muslim quarter in the north-eastern corner and then further south is the Temple Mount, Dome of the Rock, Al Aqsa mosque, etc.). We came to Jerusalem this week unknowingly in the midst of Ramadan, a holy month for the Islamic faith. Among many other things, they are fasting each day from sunrise to sunset. Friday is a holy day anyway for them, so today was quite a day in Jerusalem. As we walked toward the Old City, we were in quite a crowd headed for the Old City mosque. Later, we were told that as many as 500,000 people gather in Jerusalem for the Friday prayers during Ramadan. And as the month builds up to its conclusion, many more come as the last ten days kind of end up being like a family vacation (it ends this year on Wednesday, the day after we leave). The Qu'ran implies that prayers offered from Al Aqsa mosque are worth 1000 times more than elsewhere. I did not come to Jerusalem to learn more about Islam. But being here during this time has led to it anyway. I pray that some of my prejudices go away through this. We are staying in a neighborhood that is predominantly Muslim. The hotel has been wonderful, with an amazing breakfast that we look forward to each morning. Being in this area and walking amongst many Muslim people, particularly during Ramadan has led me to many questions for which I've sought answers in the last 72 hours. 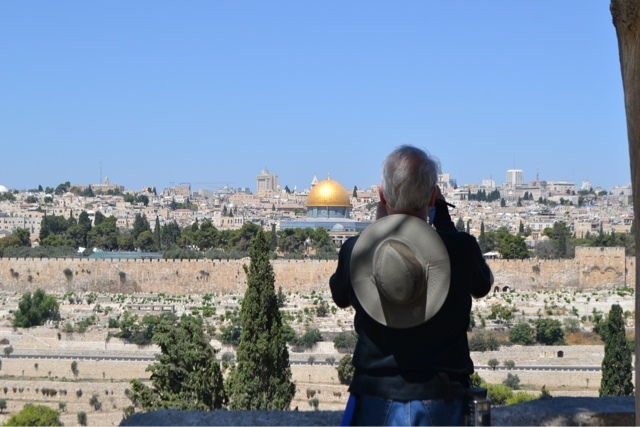 One thing I have learned and come to appreciate is the importance of Jerusalem to so many. I have been able to say such a thing before, but thinking it was mostly a political thing (and it is in great part political). But learning some of what has happened here in Jerusalem over the last 1500 years while here has shown me that "they" are not just trying to take over, but that Jerusalem, the Temple Mount, and other holy places (Hebron: Abraham/Ibrihim's burial place, etc.) are truly of great value to them. I may disagree with them on many important things, but I can no longer mistake the motives of their desires. It's not simply about territory. Once we got out of the stream of the crowd headed in for prayers at Al Aqsa, we headed to what we thought was the entrance to the Mount of Olives. 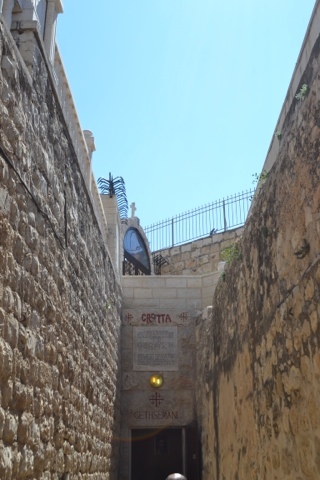 After some uncertainty of where we were, a local named Khaled helped point us to the Tomb of Mary and then the Gethsemane Grotto. 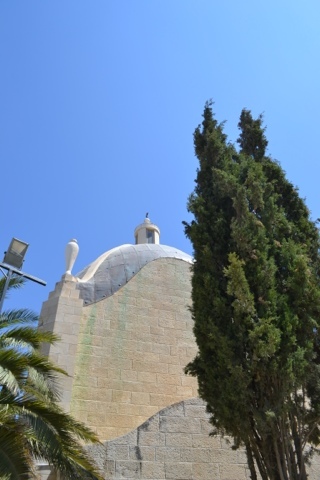 The tomb is said to be where Mary was buried. It was deep in the ground. 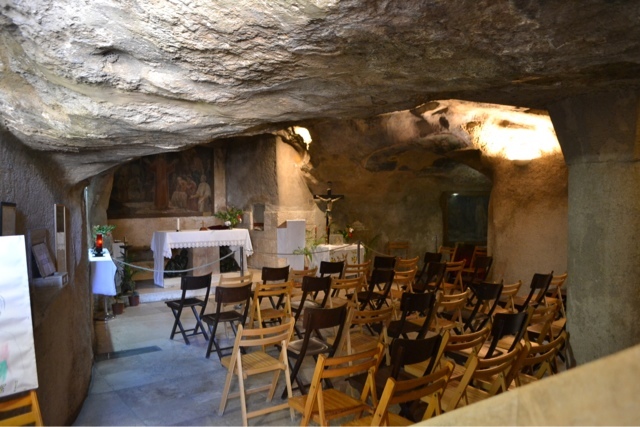 The grotto is said to be where Jesus and his disciples often camped and where he may have spoken with Nicodemus. It is said to be where Jesus took his disciples to pray the night he was betrayed and arrested, but the place where he wept is further at the Church of All Nations (we did not go in there today). Just a note that when I say "Jesus did this here" or "Someone died here", I am simply speaking what tradition holds. Though it is clear that many pilgrims here take very seriously that what is said to have happened at each location actually did, I need no such fact. What is true to me is that these are important places, venerated by thousands of years of church history, religious devotion and inspiration, and now...tourism. The amount of tourism that is seen here is sometimes disturbing to me. And I write this as one who has shot hundreds of pictures. When possible or not otherwise obvious, I've tried to ask permission of the monk or priest present in each place. And in many of the places, I have attempted to sit in silence, pray, and otherwise take in the moment and place. It has sometimes been valuable. In other times, it has been difficult because of the busy tourism (of which I totally confess I am a part, despite my effort at pilgrimage as well). 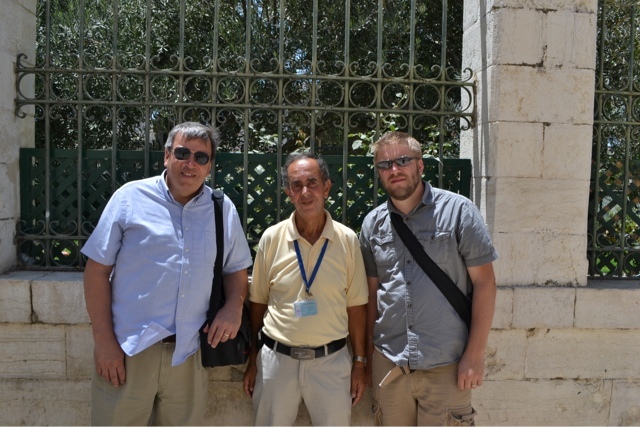 When we finished outside the grotto, it was clear that our new friend, Khaled, wanted to take us further up the Mount of Olives and then to Bethlehem, Bethany, Jericho, and anywhere else we'd pay him to take us (he drives a taxi). 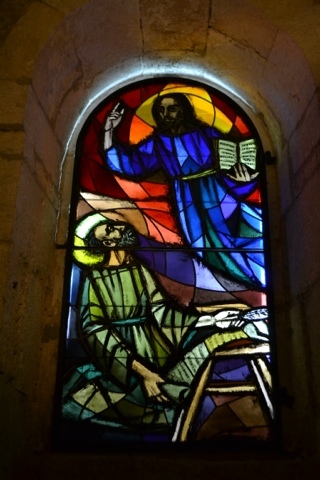 We proceeded cautiously, and took one step at a time with him, but did eventually have him serve us as driver and sometimes guide to the top of the Mount of Olives, Bethlehem, and Bethany. 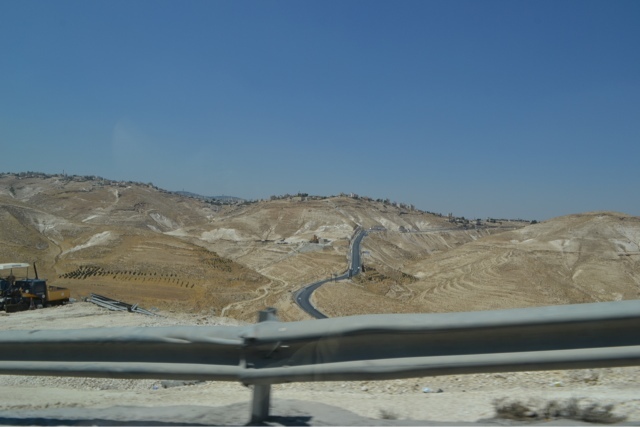 He also pointed out many things about Jerusalem in between all of these places as we drove. He is a Christian. He first drove us up "Palm Sunday Drive". We stopped at the church built where it's said that Jesus wept over Jerusalem. 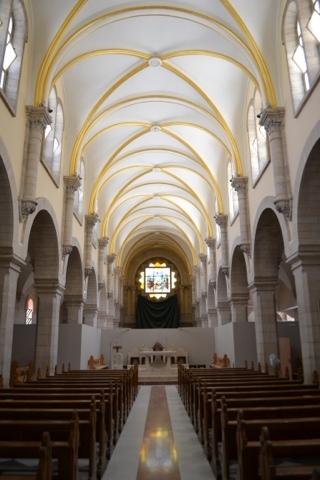 It is called the Church of Dominus Flevit and was built in the 1950s (so new!) in the shape of a teardrop. I can't describe in words how poignant this was on this given day. 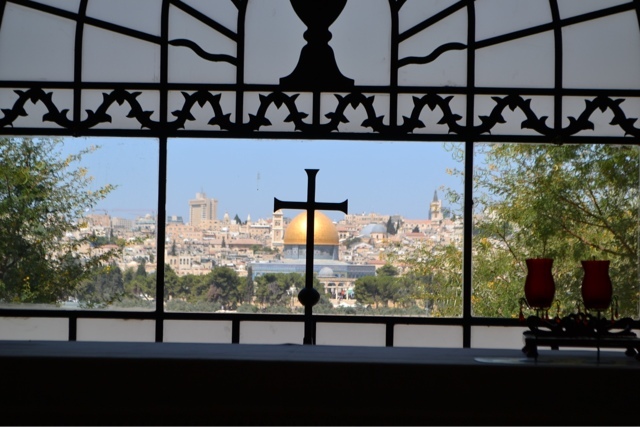 With the Arabic coming very loudly from the Friday Ramadan prayer service just over the way, over the City of David and Jewish cemeteries, thinking about Jesus weeping over Jerusalem was powerful. The architects very thoughtfully and I assume purposely built the wall behind the altar with a window that faces the Old City. The image of the Dome of the Rock can't be missed by those who know the implications. I spent some time speaking with Brother Leo, who is one of the two monks who takes care of the church. He is Franciscan and originally from California. 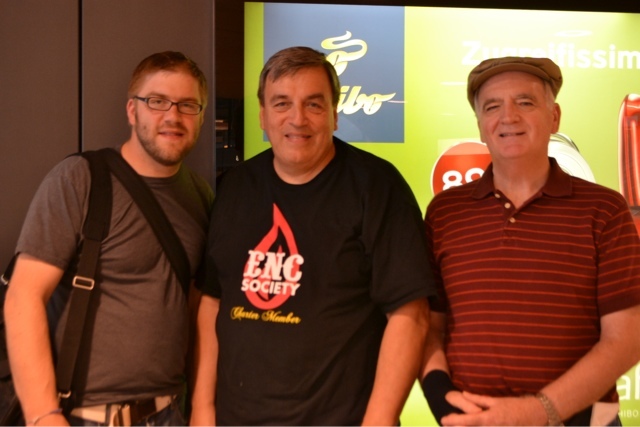 He was very kind once he saw that I had great interest in the church and all that it meant. This short stop was one of my favorites of the day. 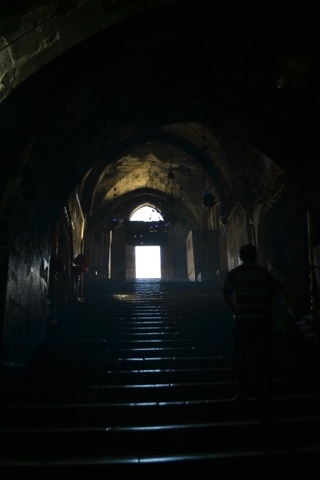 We then continued up the Mount and headed for the (Chapel) Dome of the Ascension, which is part of a mosque now, but marks the traditional place where Jesus ascended. There was a spot on the ground where it's said that his feet made impressions. 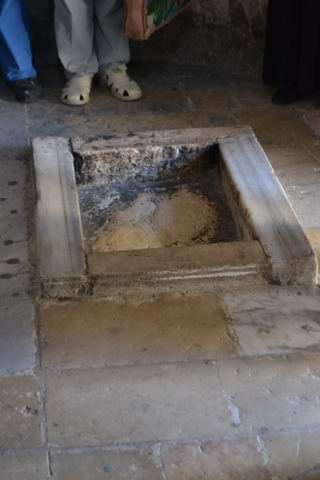 The right foot print is still there, but the left was removed and now is in behind the pulpit in the Dome of the Rock. While we were there, a Russian Orthodox group was singing/chanting some prayers. (The Muslim oversight allows Christians to come in and visit and also have celebrations & services on various Ascension Day observances.) Hearing the group was a nice touch for us. I wasn't too awed by the spot. In fact, I noticed something else that caught my attention. 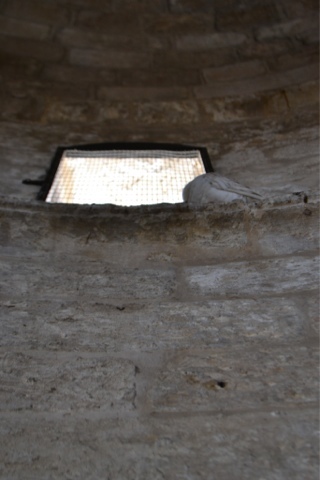 In a window up above our heads there sat a white morning dove watching us all. That seemed even more special to me than what lay on the floor in front of me. 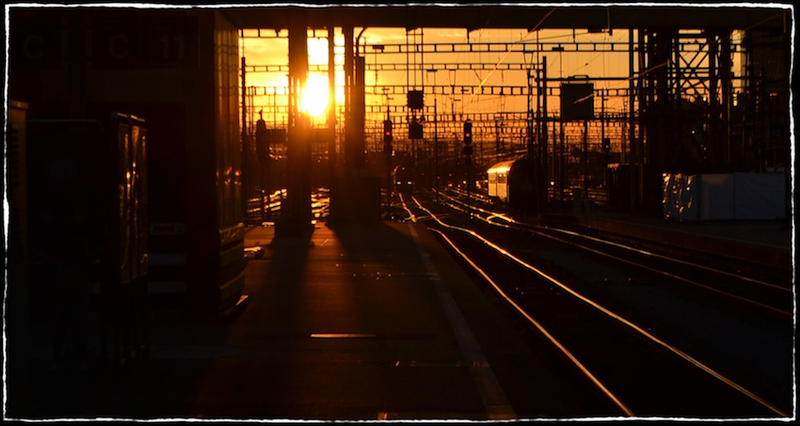 I've had a number of experiences like this, as if to say, "God is free and flies where God likes, not in the confines of holy places marked by humans." We then got back in Khaled's car and he made a quick stop to buy us some cold water (much appreciated!). Then we stopped at an observatory over-looking the desert to the east of the Mount of Olives. Hebrew University was right behind us - a huge and impressive place. So next Khaled had arranged for us to walk with Issa, a resident of Bethlehem. He sure knew his stuff as he walked us around. We went to the impressive Church of the Nativity, the oldest complete church in the world said to be built over the site where Jesus was born. The building itself was awesome to me. 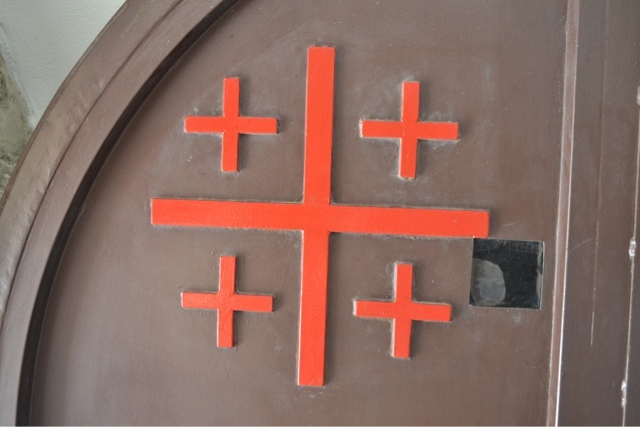 It is also overseen by three groups (like Holy Sepulchre): Roman Catholic, Eastern Orthodox, and Armenian. 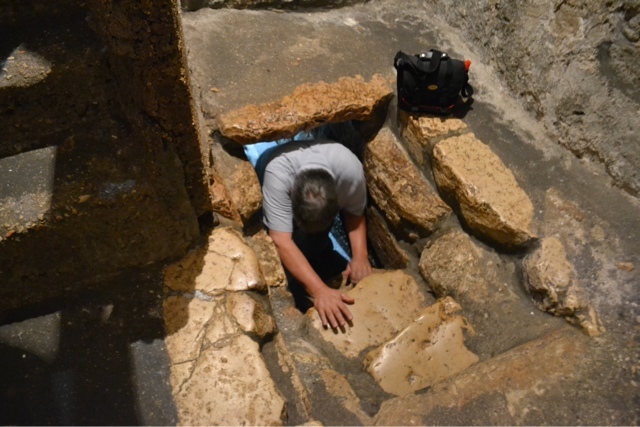 The Eastern Orthodox Church has oversight of the oldest and main part of the sanctuary, but all three oversee Jesus' birth site directly under it at various agreed-upon times. The Roman Catholic Church has built a beautiful church to the left, which various Popes (including most recently Benedict in 2009) have visited. The trip down into the basement to see the birth place was interesting. It is a very holy place to many people. As we waited in line to see the star that marks his birthplace, a mother and a sick baby with oxygen tubes (I think she was European of some sort, maybe French?) came down with a guide and laid the baby on the star. After a moment, the Greek Orthodox priest overseeing the grotto came and offered blessings over the child while the rest of us waited patiently, somewhat in awe of what was going on. The age of the baby was not lost on us. 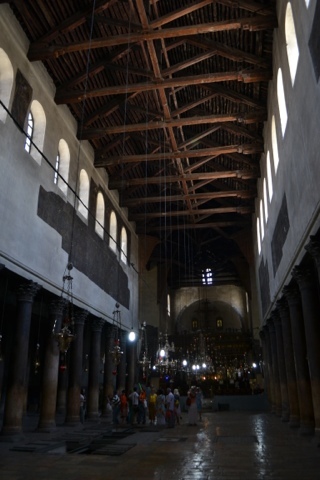 We ascended back up and into the Roman Catholic Church adjoining the building (Church of St. Catherine of Alexandria). This is the chapel in which services we might watch on TV on Christmas Eve are held. 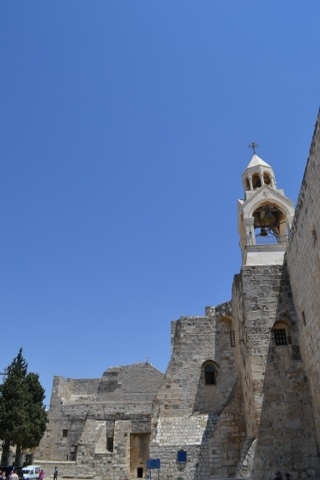 The Church of the Nativity is also the place that many of us have seen on TV with brawls and fights around Christmas time. The three groups often have disagreements over various things, leading to the scuffles. I asked our new friend, Issa ("Jesus") about these and why they fight. He said that it's usually over territorial things and gave an example of a priest from one group cleaning stairs that belonged to another, leading to a fight. Some things are the same in different places. 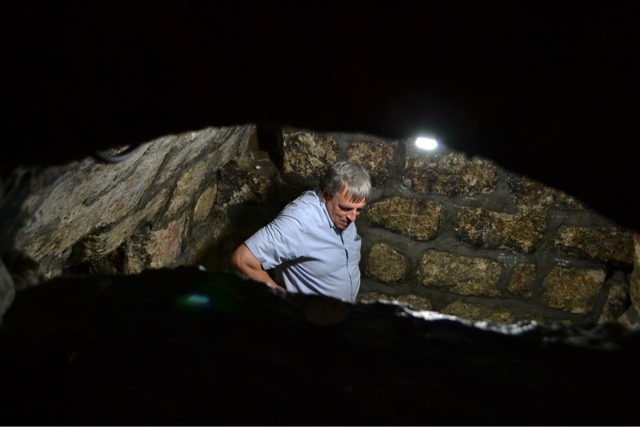 Also in the basement of St. Catherine were two surprise finds (not many people were down there - we were thankful to have Issa's knowledge and leading with us). The first was quite a find for me, personally - a powerful spot. 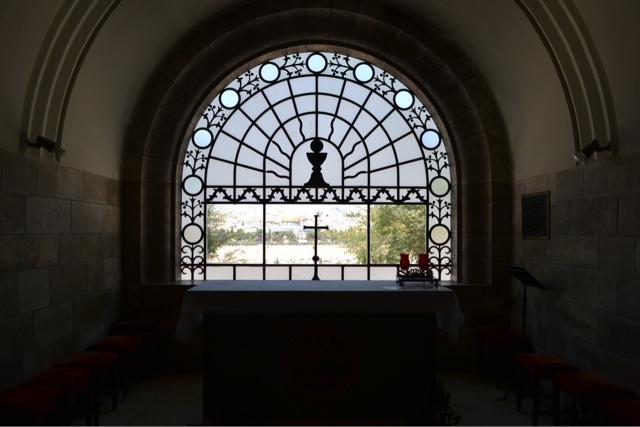 The Chapel of the Holy Innocents marks those baby boys who were killed by Herod in the attempt to kill the Messiah-child (Jesus). 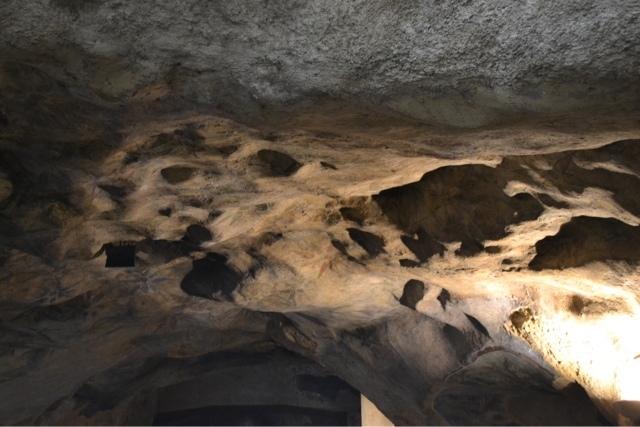 And attached to this is a supposed work-room, the Cave of St. Jerome, who oversaw the translation of the Bible into the vernacular in the late 300s (Latin). Called the Vulgate, it was basically the official version of the Bible for the Roman Catholic Church until early last century. 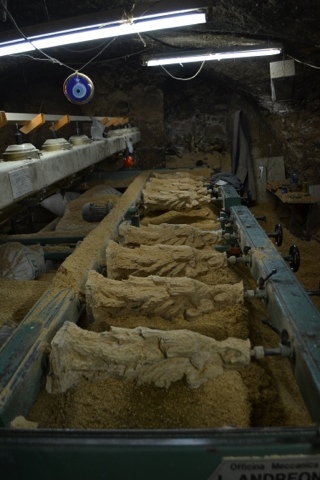 We then parted ways with Issa and found Khaled again in the olive wood shop. I did purchase a few things: a chalice, plate, and a hand-made stole with Jerusalem crosses on it. 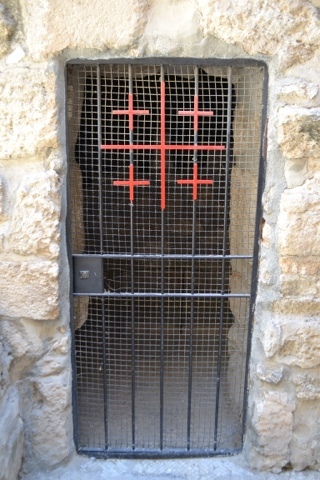 The Jerusalem cross is all over the place here and is actually five composite crosses, marking the five piercings of Christ (two hands, two feet, and side). I have many pictures of the cross in multiple places. Khaled then drove us down from Bethlehem through a pretty crazy snake-turning road. I told him that I hoped his brakes were good (they worked). He lastly took us to Bethany (actually today is Al-Azariyeh), a place that appeared to us to be not often-visited. 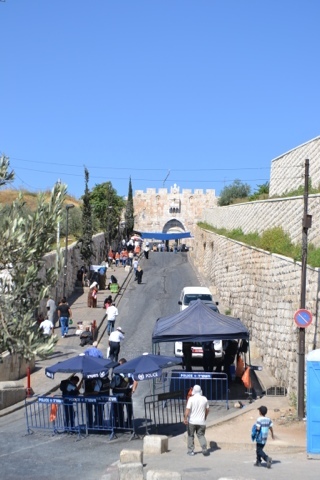 We came to see the tomb of Lazarus and a church nearby it. We thought it was kind of weird when we got there - a ghost-town, almost. 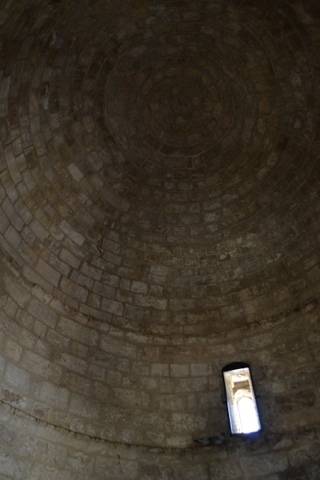 Khaled had a local take us in and he literally had to turn the lights on for Lazarus' tomb. It was by far the most dreary sight that we saw of any of the holy places. I asked the man (I forget his name already!) who has oversight and he said that two Muslim families allow people to come in still. The young man also said he doesn't usually speak English, but can speak Russian (in addition to Arabic, of course). He said that he hadn't brought anyone into the tomb in over a month, noting just how rarely people go there now. Since I have been in the hotel room this evening, I've read more about why. The security wall built by Israel to separate the Palestinian-overseen places from Israeli has cut off many areas. I really felt for the towns that we saw. Bethlehem still draws at least some visitors (as it is after all still Bethlehem), but the shops in there did seem to be more desperate to sell to us. But Bethany-Al-Azariyeh...very sad. 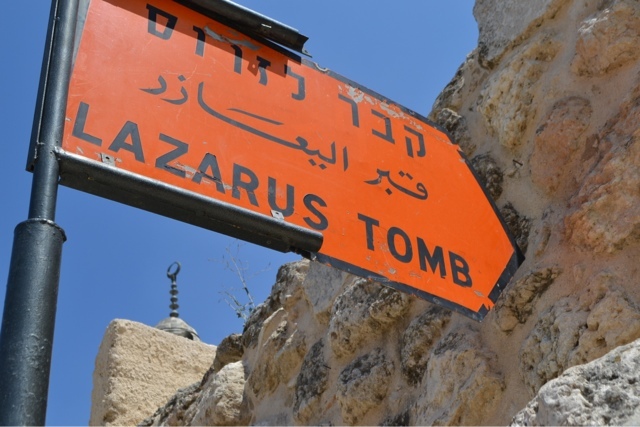 The tomb of Lazarus was dark and dirty. I was afraid for all of us going down the stairs as they need a lot of work. It went pretty deep into the ground and then the tomb itself was even further. You had to get down onto your hands and knees to get in. I didn't go in, but Dad & Ron did. After the tomb of Lazarus, our friend took us to the Greek Orthodox church down the street, said to be of Simon the Leper. It was a beautiful sanctuary, built only back in the 60s. There was a large group listening to a lecture in Spanish when we went in. I was very intrigued by what was going on (of all the languages I've heard on this trip, German, Dutch, Russian, Hebrew, Arabic, French, and English, this was the first time I'd heard Spanish, the language I'm trying to learn). But we left. Our friend took us to a room that was completely dark in the church complex. We used our cell phones to light it up and he showed us an ancient olive press. He didn't know much else about the room, or was too afraid to try his English to tell us. We then went back and found Khaled who drove us as close to our hotel as he could as the streets around Old City Jerusalem were still blockaded by police for Friday during Ramadan. Each night we've spent hours in our room reading about what we've seen and/or will see. Tonight we got back just before 4:00 and with the security warning, we all kind of silently agreed to stay in for the night. I feel better now about going back out tomorrow, but it is also Shabbat, so many things are closed.